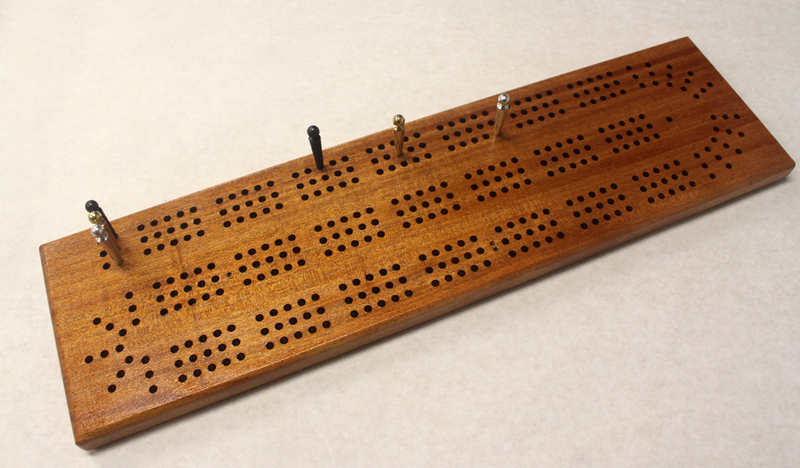 A large-hole three track continuous board in a range of wood species. 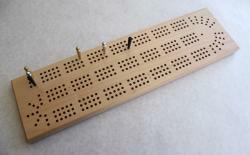 This board uses our giant 2" pegs with 3/16" holes. This board measures 5.5" by 20". It features three continuous tracks. 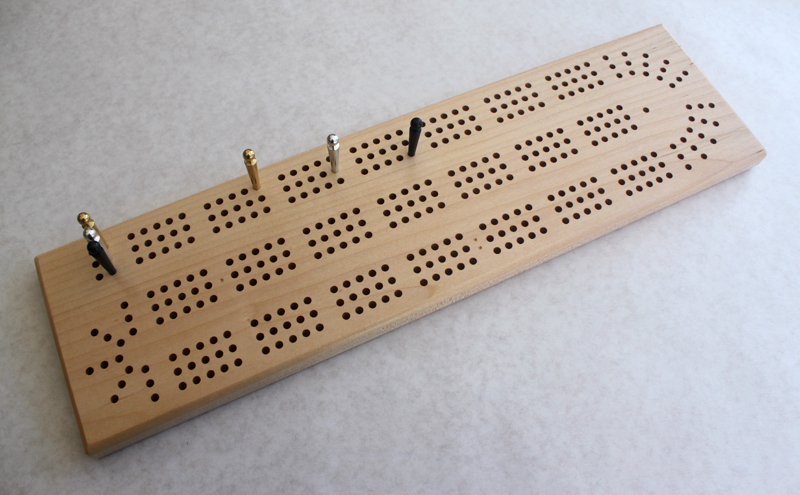 It comes with six giant metal pegs, which live in a pocket in the back with a sliding brass plate. It's available with a clockwise track or an anti-clockwise track.